Never buy Razer products. They market to ignorant gamers, jack up price twice as is worth, remove internal memory, force users to connect to “the cloud” with their “synaptic” fak, and sell your data. 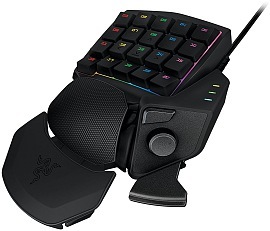 also, razor's mouse are usually 1/3 more expensive than logitech, with less feature. it's that way cuz razor market to ignorant teen gamers, much like girls follow @KimKardashian idol. but i must have a brand name? The counterpart to gaming community is Das in programing community, marketing to ignorant programers, whereas cheaper and better keyboards are widely available in gaming community. the thing is, you'll get gamer or coder eedeots huffy and puffy refusing to accept that they've been swindled.